Four contestant slid frozen turkeys in an attempt to knock down 10 bowling pins. All four contestants walked away with a free Thanksgiving frozen turkey. The winning bowler was asked what he thought he might have won, as the Aggies had given out 10 big screen TV’s at the home opener. He replied that he hoped it was a car. Pistol Pete, ever the humanitarian, pardoned Trevor and gave the winner an extra-large frozen turkey as a prize instead. Trevor was returned to his farm. “What Will They Do Next” will include giveaways, halftime acts, special promotions, skits, and surprises during the season. Each game will have at least one “What Will They Do Next” element and none will be promoted before the games. The next opportunity to find out “What Will They Do Next” are when NM State hosts UTEP on Saturday, December 6th and the marketing staff has an exciting evening planned. Tipoff is at 7 p.m. Season tickets remain on sale starting at just $50 and are on available at Ticketmaster.com, the Pan American Center ticket office or by calling 575-646-1420. 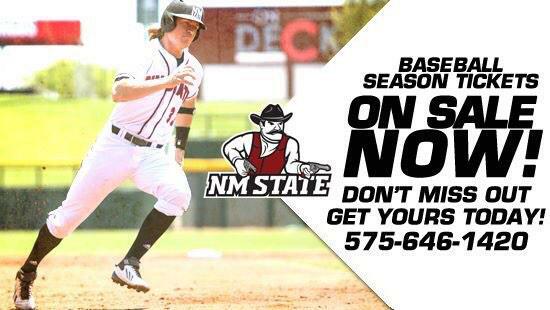 NM State faculty and staff receive a 50 percent discount on any season ticket package. Attractive mini-plans are also available in several price ranges.